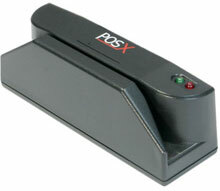 The POS-X XM90 magnetic card reader was designed with simplicity in mind. With its plug-and-play set-up, standard three track capabilities, and easy to use software configuration tool, the XM90 has the flexibility needed for any application where card reading is required. The POS-X XM90U is also known as POSX	PXI-XM90U	.